Diwali : Unknown History of Diwali - Festival of Lights - Happy Diwali :- diwali, deepawali or deepavali and also known as festival of lights means rows or groups of earthen lamps. Hello friends…. We welcomes you all to this interesting & loving site , madbestshayari.com . Today we are going to discuss about a well-known topic that is, DIWALI. Many of you know about it but I am sure you will get know in detail from our today’s article. Let me tell you that apart from this article , you can also find various types of shayari , wishes and quotes like love shayari, sad shayari, new year wishes, birthday wishes, motivational & inspirational quotes and many more in our site. If you have any queries please let us know in the comment section, we will surely try to sort it out. And for more information, keep joining. Now let us talk about our topic. The word ‘DIWALI’ or ‘DEEPAWALI’ means rows or groups of earthen lamps (diyas). It is celebrated on the 15th day or the new moon day of Kartik month which generally falls in between mid of October to mid of November. Diwali is said to be the festival of lights as on this day we decorate our houses with lanterns, lights & earthen lamps as well as the whole city is decorated with lights to brighten the night. Diwali is all about Ayodhya or in other words we can say that the presence of Ayodhya gave the meaning to the celebration of Diwali. As we all know a very popular reason to celebrate Diwali that is Lord Rama returns to his hometown, Ayodhya after killing the evil king Ravana and passing a long period of 14 years of exile along with his wife, Sita & his brother Lakshman about 9 lakhs years ago (in tretayug) when this festival was celebrated for the very first time. The whole Ayodhya including Lakshman Kila (which was separately belongs to Lakshman) , Kanak Mahal ( Dashrath’s wife kaushalya gifted this palace to Sita in her mooh dikhaai ceremony) & Mani Parvat ( place where Sita spend her leisure time along with her friends) were decorated with lamps & lights in honour to welcome their kin. As Ravana was killed by Lord Rama , so Diwali is said to be a triumph of good over evil. This day is also said to be the birthday of Goddess Lakshmi as she was incarnated from the ocean on the same day. A day before Diwali is Narak Chaturdashi. There is a story behind celebration of this day. Narakasur was the son of Varaha, third incarnation of Lord Vishnu and Earth (Prithvi Maa). He was a demon king & always try to kill others. Earth was afraid that in future, he might be killed by his father that is Lord Vishnu so she convinced him not to kill Narakasur , so in reply Vishnu said that only she can kill her son nobody else can do this, which gives her relief as she knew that she is not going to kill her child. But Narakasur didn’t stop & continue to challenge other kings to face him. After some time when Lord Vishnu took incarnation in the form of Lord Krishna & Earth took incarnation in the form of Sathybhama, wife of Krishna. Then Narakasur challenge Krishna to fight against him & to protect her husband Sathybhama killed Naraksur. This is also an example of the triumph of good over evil. That’s why it is celebrated as Narak Chaturdashi. Diwali is a kind of festival which is celebrated by mostly all religions. Some people have their reasons to celebrate it & some people just become a part of it. People of Jain religion celebrate Diwali because on the new moon day of Kartik month on which Diwali is celebrated, their 24th last Tirthankaras of Jains, Vardhamana Mahavira was enlighted. He was the founder of modern Jainism. So Jains have their religious reason to celebrate Diwali. Just like Jains, Sikhs also celebrate Diwali because their 3rd guru i.e. Guru Amar Das announced to receive Gurus blessings on the new moon day of Kartik month. On the same day their 6th guru which was Guru Hargobind Singh was freed by Mughal emperor Jahangir from his prison. And last but not the least, Sikhs celebrate Diwali because foundation of Golden Temple at Amritsar also laid on this day. Diwali have their reason to be a religious festival but it also have some historical stories like, you must have been heard about Vikramaditya, a legendary Indian. His crowning ceremony was held on the Amavasya or new moon day of Kartik month on which Diwali is celebrated. 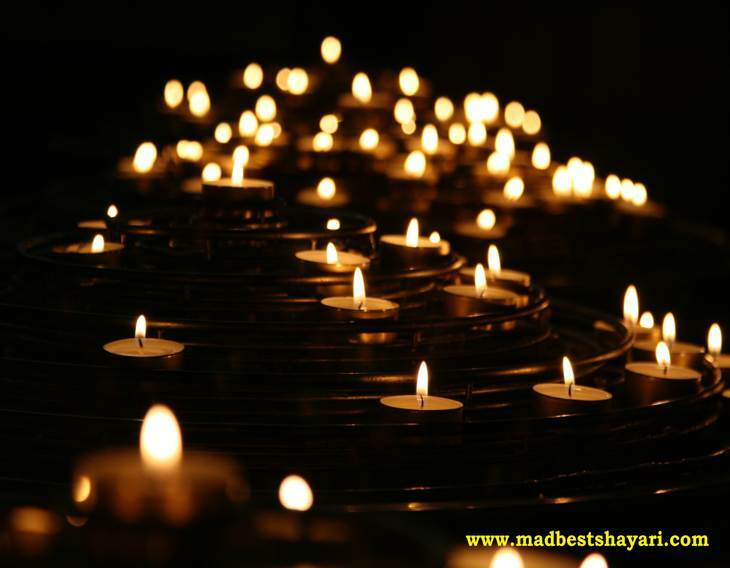 Do you know, why do we light earthen lamps on Diwali. I think you will say that it is a tradition but let me tell you that there is a scientific reason behind lighting earthen lamps. In the coming winter season, lighting earthen lamp kills the insects to multiply & prevent crops from destroying by insects. Since the atmosphere became contaminated by dead bodies of flies. The flies encircling around the lamps , when earthen lamps burns, it releases carbon black which is an absorbing agent, can absorbs all harmful elements from atmosphere. Other than killing insects, it gives warmth by rising some temperature in the beginning of the winter season & gives us relief. Cleaning house at the coming time of Diwali is done because we buy grains, pulses, cereals & other edibles to preserve it for a year. Now as you can see that there are several reasons to celebrate Diwali. Overall meaning of Diwali is victory of truth over lies & greediness. Millions of people celebrate it with happiness & joy. People used to buy new clothes, clean their houses & decorate it. House exteriors & interiors are whitewashed and the ground is decorated by Rangoli as it is said that Goddess Lakshmi roams on Earth & enters the house which pure and clean. Diwali is a full holiday package of 5 days. It starts with Dhanteras, 2 days before Diwali . On this day, people used to buy new utensils, silver coin & other essential households. 2nd day is Narak Chaturdashi, on this day earthen lamps is to be lighted nearby washrooms in order to destroy invisible germs. It is also said to be Chhoti Diwali. Then 3rd day is Diwali, on this day we wake up early in the morning & get ready to start our day with sweets & dishes and then we start meeting relatives, friends & neighbours to spend time with them. In the evening time, we worship Goddess Lakshmi & God Ganesh & then light lamps in every place of our house. 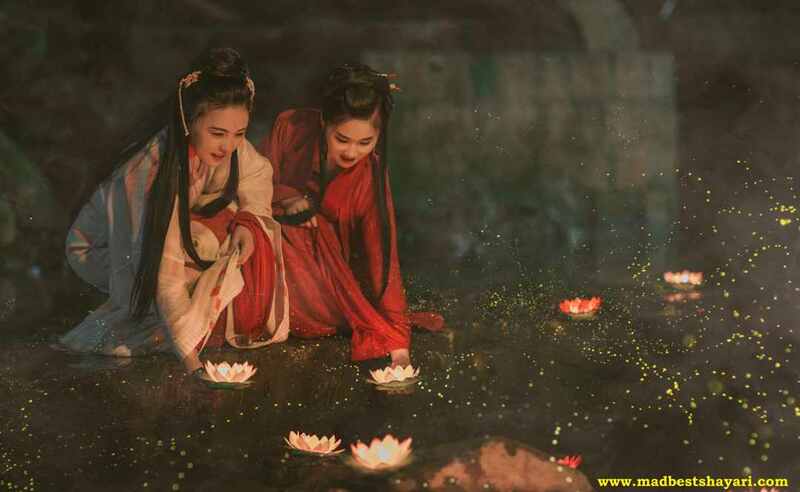 People living nearby river side, float lighted earthen lamps on water. Then the children start celebrating by their fireworks and sweets. Then on the 4th day Govardhan pooja held. As it is said that on this day lord Krishna rescued people from heavy rains by giving shelter them under a small mountain which was also big as comparison to people & its name was Govardhan Parvat. Lord Krishna held Govardhan parvat on his small finger. That’s why Govardhan pooja held on the next day of Diwali. And the last 5th day is Bhaidooj. It’s a festival of brothers & sisters. Sisters used do tilak to their brothers & pray for their long and happy life. Before tilak, sisters do not eat anything as they took fast for their brother. Then its high time for sweets and gifts, as sisters give sweets to their brothers to eat and brothers give gifts to their sisters. So Diwali is a completely a family celebration.